It's time for another episode of 'Investors do the Darndest Things! ', in which Nintendo's share value swings up and down as strange movements happen in the financial market. It's right up there with death and taxes as an inevitable part of existence. 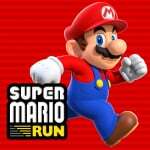 Super Mario Run arrived on 15th December at about 12:30pm Eastern / 5:30pm UK time, to give two examples. That allowed the Tokyo stock market to react in trading on 16th December, and now that it's closed we can see that investors were rather concerned about early performance of the iOS app. 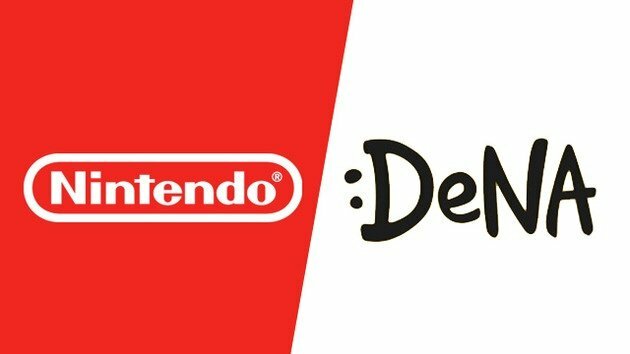 Nintendo's shares closed on 26,405 Yen, down 4.24% and reportedly equating to a drop of around $1.5 billion Yen in overall company value; DeNA shares dropped 6.8%. So, what's going on? The primary concern - it seems - is related to the revenue potential of Super Mario Run; that's valid, as the debate's been raging over whether it's wise (when seeking maximum profits) to shun microtransactions and opt instead for a premium one-off charge. Though the concern is justified, it seems far too early to make snap judgements on whether it'll work out for Nintendo; still, such logic isn't welcome in the stock exchange. Below you can see the drop; Nintendo's shares had been declining all week, and we were waiting to see whether that would continue or whether Super Mario Run would cause a rebound - the former has happened. In terms of the app's very early performance, research firm SensorTower says the app quickly moved to being the number one download in 68 countries, and the highest grossing in 14. Again, though, it's incredibly early to judge, which SensorTower has acknowledged to Bloomberg, with some users likely to play through the free levels for a short while before deciding whether to buy the full game. After 12 hours the app had moved to number one in the SensorTower revenue chart for US, and up to 27th in Japan (up from 107th right after launch). The picture will be clearer, in terms of launch success, in the next few days. More data will emerge, and we'll get a sense of how many day one downloads have turned into purchases. Should early fears be allayed Nintendo's share value will likely swing right back up; we shall see. The jury is still out on Super Mario Run's pricing strategy, and it'll be interesting to see how it performs (in terms of sales) over this coming launch weekend. For nintendo q3 2016: 87,8% des smartphones vendus dans le monde étaient sous Android, contre 11,5% pour iOS. ...and I wonder if there's some truth in that's the way Ninty would like it to be as well? Nintendo needs to sit all these investors down and individually slap each and every one of them. I'll pay to see that right now. That's because investors only care about maximum profit in minimum timespan regardless of any negative impacts it may have on people, properties or company goodwill. They want a method that seeks out maximum downloads and then basically swindles little payments from people; particularly those most weakest due to impatience or desperation; in full well that eventually some will pay far more than they would have for a "premium" product. Then they do this to "scare" companies and other investors in the hope that it will swing said companies to go down their twisted desired paths to maximise their own income. Oh and it's been less than 24hrs, yet everyone wants immediate results and judgement. Well that's what they get for making it just a iTunes app.i know it will be next year everyone can play.but it's not now,if everyone could download it then I'm sure things would be different. Can I be terribly controversial and say I actually don't like the 2D mario games all that much? Shares are very volatile. I'd be much more interested in what they're like after a few days. Oh goodness!! A developer releasing a game & only asking for one payment when you buy it? This has never happened before!!! Seriously, when companies get punished for not being money hungry Konami clones (because Konami is Konami & Konami is the worst), it's a sign humanity is going in the wrong direction. Please remember that the amount of downloads may be kind of dubious at this time due to Nintendo & Apple's deal making Mario Run take over the ENTIRE showcase on the App Store for a while. No other app got this kind of attention, not even Pokémon GO. As always it seems like perception matters, it's quite incredible how 'free-to-play' has taken over, when it is still a (relatively) new concept, as opposed to the 30+ years of buying a thing and getting the thing that Nintendo have been around for most of. I find several articles on free-to-play psychology to be well worth a read in light of all this. How gullible people can be pressured into rewarding the nice developers who gave their game away by buying into the freemium ecosystem and before they know it they've spent $60-100 rewarding these kind people and are in too deep to stop and so what's another $60-100 in comparison? Even more pathetic when this psychological manipulation is used in $60 games as is all the range nowadays but that's a horse of a different coulor. The business model of Super Mario Run was a mistake. It shaped up to be a free-to-play model but ended up as a (very expensive) full purchase. I truly doubt most people will bother paying $10 for such a simplistic game and just move on, and kids will probably stick with the demo on their parents' iOS devices. If you have a 3DS, you better spend $20 on NSMB2 or 3D Land. When I downloaded my copy yesterday it took a really long time to download. And when I tried to pay ten bucks to get the full game it took half an hour. But the traffic has probably died down now, most people are going to think it's overpriced and that's why it can't bring the stock up. I am in no way in agreeance that it'S overpriced, I'm on world 6 and can tell you that it was well worth my money. And this app DID get a TON of attention on the App Store, I just think that not as many people want to pay $10.00. In europe it is not only number one in free downloads, but also number one in highest-grossing. I like this game very much, the controls are perfect, the challenge of getting all the black coins is tough, and my phone suddenly feels like a Nintendo product. @XxYoshiGamerxX yeah well, i don't know the reasons for that. Mario number one, Clash of Titans number two and Pokemon Go number three. Nintendo: "Hey guys, great news, we have the highest grossing app on iOS"
Investors: "SELL SELL SELL! Nintendo are doomed!" I think the novelty will have worn off by the time it comes to Android. I'm not interested in playing Mario this way and certainly not for €10. Especially for such little content. Nintendo can't risk their entire company on one short term fleece. @rushiosan When billions have smartphones, owning a 3ds is a very big if. I think it is priced fairly. My son spends half of his playing time on Clash of.. something, and just yesterday he bought 5 dollars in jewels and they were gone before the day was over. So, yes, I'll take a very nice runner, with no microtransactions for 10 bucks, before any nonsense pay-thru-the noise garbage. By the way, 10 bucks is not so much when many games of less caliber retail for the same or slightly higher price. The thing is it plays like an f2p title with the daily bonuses and such. I imagine originally it was going to be free to play but they decided against it. I'm loving it at the minute. I give it a higher recommendation because my assumption is there will be new levels added as and when. They probably have 1 level design intern just churning them out using Mario maker! Well, I hope Nintendo gets the profits it's looking for from its Apple customers. @pAq It has an in-app purchase. The full game is unlocked through a single microtransaction INSIDE the app, so it technically is a free-to-play game with microtransaction, even if just a single one. Just like those "free to start with ads - remove them for $3" games. They have to remember it's only out on iPhone. So many people have androids that want to play it but can't. Basing numbers off half the market is kind of silly. From what I understand (I don't have an iPhone so haven't had the opportunity to play! ), there's some free content but a purchase is required to buy the full game. Surely they can't expect everyone to make the full purchase on day one when there's some free content there? Give it time. @MadAdam81 I don't think there's over a billion of iPhone 5+'s/supported iPads around, just saying. "Billions" sounds a bit too much. And a 2DS is like $75. Launching in Japan at 3am wasn't the greatest thing.... A lot of negative comments on the Internet because the release appeared delayed didn't help investors. . Very sad really.... But also the standard practice of Freetoplaypaytowinmicroteansactions has created a strange phenomenon that makes people think a single payment of $10 is criminal! @MadAdam81 Good thing they aren't risking the entire company then. Playing with a bunch of friends is already fun with the free version as you keep beating each other. If you are just playing to run through the stages alone and not bother trying to get special coins, yeah, stick with a previous Super Mario game. This is a different and fun experience altogether, despite the look. It fits the mobile mindset in all but the upfront pricing. I'd love to see mobile head in this direction honestly, though buying for each family member is a little steep. I doubt most of the casuals are gonna pay full price so.. When Pokemon-Go released, stocks rose and it was reported on here with a positive slant (mind you, stocks dropped again soon after). When Mario releases, stocks drop, and it's reported on here like the investors are morons and don't know what they are doing. They got it wrong. A one-off charge is fair, but not the price. The entire launch hype yesterday was overshadowed with "I'm not paying that much to play it" or "has anyone paid? Is it worth it I'm not sure if I want to". @WilliamCalley Seems quite understandable to me. Stocks rose in light of Pokémon Go, which was a good thing for Nintendo's share value etc. and people probably agreed with the predictions made by the investors based on their own. Stocks have gone down in light of Super Mario Run and people disagree with the predictions, feeling that it is perhaps short sighted and that Nintendo will have further success. Nothing cryptic, just a bit of positivity, something many lack in the extreme. The stock value will most surely level off again. Just find it funny how on here when analysts or investors say something positive about Nintendo they are great people, but when they criticize Nintendo, they are know-nothing morons who don't know what they are doing. The crazy thing to me is that I've played the heck out of miitomo and have not spent a dime. I played pokemon go! for free for a few weeks and did not spend a dime. I played the first three levels in SMR and decide $10 was worth it. Toad Rally, btw is a blast. I'll spend another $10 for the kids, who were wondering why they only had 20 secs to beat the first castle. Bottom Line: SMR will not be the cultural phenomenon that Pokemon GO! was, but it should generate some serious revenue for Big N.
@WilliamCalley I don't recall everyone calling them great people, just appreciating that the effective hype for the game was in some figurative way reciprocated. Some people don't see why SUCH caution should be shown over SMR so they disagree in this instance. Add in a bit of positive bias (which you're alluding to in an exaggerated form to stir up excrement) and it's totally understandable. Of course things will level out, but the short term reflections of many will persist. "We didn't get record sales yet? Abandon ship!" Hope people don't read too much into this. Sure, sure, the only sensible thing would be to put a Mario mask on a Skinnerbox addiction machine, that does nothing but waste people's time on a meaningless loop, and then harvest those sweet sunk cost fallacy dollars from the "whales". Seriously. How many times must Nintendo reiterate to these people that the mobile strategy is about expanding their brand awareness and online infrastructure, as to attract more users to their own platforms. It's not about making a ton of money on the apps themselves. I paid my 10$ after trying the first level. This game shows the absolute genius of the devs and Nintendo and is a fine example of why I will always be a huge Nintendo fan. Also it's amazing that the game runs just as perfectly on my son's aging iPhone 5 as it does on my iPhone 6s Plus. Of course it's not gonna rake in as much revenue as it would if it utilized microtransactions. But that's why I love Nintendo. Even in the face of obvious money grabbing profit, they choose to draw a line in the sand and say no, we won't nickel and dime customers, even if we'd make money hand over fist. At least we know where the push for micro-transactions came from. Investors with no knowledge of gaming. 10 dollars does sound like a lot for a market used to free gaming and/or the occasional ''painless'' microtransaction. But we'll see how it does. I for one have zero interest in the game. I'm more curious about the Fire Emblem one coming sometime soon, although it's bound to be more forgettable than the mainline games by quite a margin. Yes, but the vast majority of revenues generated via app purchases are through iOS. The iOS customer is much more likely to spend money on the App Store then an Android customer does on the Google store. I plunked down for the full purchase but immediately. I thought the small trial was quite addicting. I have no idea how this game will do long term, but I certainly hope it's a big success. I think they are more concerned with the relatively unheard of $10 up front cost rather than no (as of yet) in-app purchases. Only time will tell if that pricing model was the right one. I don't believe I'll ever fully understand the logic that goes through investors' heads. Personally, I don't want to be nickelled and dimed for every little thing in a game, or to pay to have an unfair advantage over others. I like the game but I'm not paying $9.99 for a mobile phone game, sorry. It needs to be $4.99 and then I'll pick it up. Everytime something good happens its "Oh my good I am gonna makes been a hundred trillion dollars" stocks shoot up and the next day "What you mean I had no idea what I was talking about and I won't have infinite riches just huge riches? Screw this!" I hate the stock market and the fact that people put stock in it(hehehehehehe)and act like every single time stock falls it means a company is huge trouble. @WilliamCalley We are making the same point. I was stating that investors are focused on micro-transaction revenue hence the stock price tumble. If they were on board with the one time price I suspect that stock price would have increased. I'm genuinely curious about nintendo's investors now. Nintendo reveals their new console which gets a lot of praise, and a lot of interest, is one of the most viewed console videos on youtube etc. Stocks drop. Ok fine they want nintendo doing mobile. Nintendo releases mario run, is a highly successful app making lots of money. Stocks drop. What do they actually want? I'm really curious. @Yorumi They want Nintendo to release a Playstation. I absolutely love the pricing model. I love paying for a game once and have it be done. I have several premium games on my phone. However with Mario Run being only 24 levels, and requiring a constant online connection to play, it's value definitely dropped for me. I own Rayman Fiesta Run and Jungle Run - and they are a fantastic runner very similar to Mario Run. Can anyone convince me why Mario Run is overall better than those two games? Still trying to decide if I should buy it. Nintendo Life think they know better than investors apparently. @Gobelee Wrong. They want Nintendo ON the PlayStation. I seriously can't believe people are mad at a $10 price tag. So it's completely understandable to spend $50 on micro transactions in Clash of Clans or Temple Run, but unlocking a FULL game for $10 is criminally insane!? Let me get this straight; investors want Nintendo to become Komani 2.0 and make you pay ridiculous prices for in-app purchases that you will most likely buy more of and to stop making consoles and put their games on PlayStation? That seems like a GREAT strategy (sarcasm if you couldn't tell). Nintendo probably got money from Apple to be on their system first. So people complaining about Android, remember, Nintendo probably made some money by making you wait. And it's far more important for Nintendo to make money in the short term than to please its fans in the long term. @DonaldTrump hahahaha that's a good point! But this is the environment created by all these F2P games like Candy Crush and Clash of Clans, which rely on forcing you to pay for things to keep playing new levels or you have to grind the hell out of old levels to earn enough to move on. People now expect games to be free with optional purchases. Nintendo could so easily have made this a life based game where you have to buy 1-ups to play again or wait 2 hours to get a free one and I'm glad they never. @Yorumi They (the ones with the lion's share of stock influence aka whales) want to drive the stock price down by creating panic among the bottom feeder investors to sell their shares. Then the whales buy those up and wait for the right time ( like say a Switch release ) sell a little at higher price to restart the frenzy in the positive direction. They'll hold for as long as they can until they can find some Nintendo news that sounds even remotely negative and then sell, causing another irrational panic and the cycle continues. The whales know exactly what they're doing. @3MonthBeef that sounds about right. This is why I love Nintendo. They know exactly why investors want a mobile game - because games like Candy Crush and Clash of Clans have made boatloads of money through microtransactions. So they eventually make a mobile game- but they make it for their own reasons. And then when it comes time to decide how they want their customers to pay for the game, they decide against microtransactions and for a method of pay which would work best for children, parents, and anyone who doesn't want to pay through the nose to get an actually good game experience. Super Mario Run's style is exactly the same as Nintendo's approach to mobile. Try a little bit. If you like it, pay a little bit to get more. If you like that, make an investment to try more Nintendo games.